New England Farm Sensors recommends Monnit products and services as their first suggestion for a reliable, cost-effective solution. New England Farm sensors is an internet resource to assist New England farmers in adopting low cost wired and wireless sensor technologies to monitor and manage facilities and crops. To view their site and learn more about wireless sensors for agricultural applications, visit http://nefarmsensors.org/recommendations/. Monnit’s new wireless range extenders and latest wireless sensors (featured in this newsletter), allow for enhanced network communication. The new wireless range extenders can also be chained together to allow for even further range of your wireless sensor network. The following steps will demonstrate how to add wireless range extenders to your sensor network, and how that sensor network will function using the range extender(s). Add a wireless range extender to your sensor network. • Click “Manage” from the main navigation. • Find the bottom section that deals with adding sensors. • Enter the ID and security code on the back of the range extender. • Press the “Assign Sensor” button. • Repeat this process to add more range extenders to the network. Once the range extender has been added to your network, you will need to update and push the sensor device list to your range extender so it knows what sensors to allow communication with. For a USB gateway, go to the Monnit gateway application/service and click “Download Sensor Updates”. 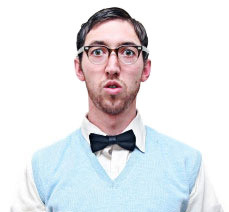 For an Ethernet gateway, power cycle the device by unplugging it, waiting 10 seconds then plugging it back in. For a Cellular gateway, use the power button to turn it off, wait 10 seconds then turn it back on. After resetting the gateway, plug the range extender into an AC wall outlet. The range extender will have a green light when it has found the network. If the light is steady red, check the network, unplug it and try again. Monitoring a facility efficiently, yet cost effectively is challenging. In large and small commercial operations there’s plenty to worry about without having to spend time and money to manually monitor areas of a building that could be monitored by sensors. Monnit has developed a wireless sensor solution for commercial property management. Monnit wireless sensor systems can help you detect and track access to buildings, temperatures in rooms and data closets, water leaks in bathrooms and much more. Sensor alerts can be set to alert by email and/or text message so you can know immediately if anything needs attention. We recommend using Monnit’s affordable wireless open/closed sensors to track and monitor the doors and windows to any area you want to remotely monitor for access. We also recommend using Monnit’s wireless infrared motions sensors, temperature sensors and water sensors to monitor areas for access, temperatures and water leaks. Know immediately of any issues with your monitored buildings, rooms, or areas. Join our New Webinar Series! Want to learn more about Monnit and what our products and services can do for your business? 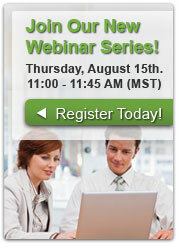 Sign-up for the next webinar: Thursday – August 15, 2013. 11:00 – 11:45 AM (MST). This webinar will introduce you to Monnit wireless sensor products and services, showing how your business can benefit from using Monnit products. This webinar will also include a complete demonstration of the iMonnit online wireless sensor monitoring software. Salt Lake City, UT – August 5, 2013 – Monnit Corporation (www.monnit.com) today announced the release of a new battery health sensor. Monnit’s Wireless Battery Health Sensor is a DC analog voltage meter designed to measure battery voltage at specified intervals and wirelessly send the voltage readings to iMonnit, the online sensor monitoring system. Monnit wireless battery health sensors can be used for monitoring battery levels in various applications such as boats, RVs, service vehicles, cars, ATVs, motorcycles etc. Monnit’s wireless sensor platform and online monitoring software provide a very affordable, simple-to-setup, feature rich solution that is ideal for both commercial and industrial applications. “Monnit has received numerous requests for a wireless battery level sensor that works with our online sensor monitoring system. These customers want to receive alerts if a battery’s voltage reaches a certain level. If you couple this sensor with our low-cost Cellular gateway, you have a great remote monitoring solution. For example, you can know if the battery in your boat will allow it to start before you get to the marina, and if not, take a spare battery with you. It’s a great solution that is the best value for knowing when a remote battery needs attention.” says Brad Walters, CEO of Monnit Corporation. Monnit wireless battery health sensors compliment Monnit’s existing line of wireless sensors which are designed to detect and monitor conditions that are critical to business. Monnit’s wireless sensors communicate with iMonnit, the online data monitoring system, which aggregates sensor information and sends notifications via text or email if user defined conditions are met or exceeded. Other popular sensors by Monnit include: temperature, humidity, motion, water, door / window, light, vibration and voltage sensors. 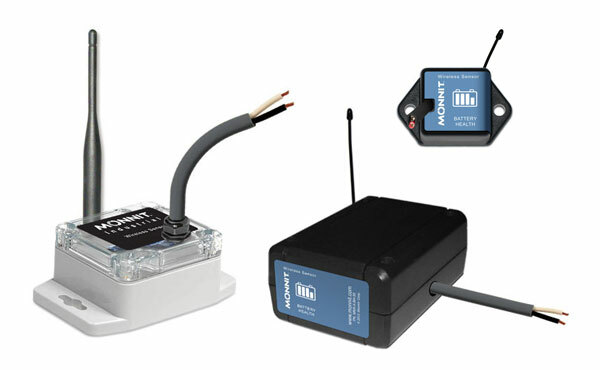 Monnit also provides wireless sensors to OEM’s and Reseller’s through OEMSensors.com, which allows for white labeling (private branding) of both the wireless sensor hardware and the online monitoring software. 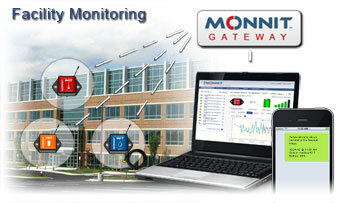 For more information on Monnit wireless sensors and monitoring call (801) 561-5555 or visit www.monnit.com. Monnit is a leader in the design and manufacturing of turnkey, self-installing, low cost wireless sensor solutions targeted at the commercial, industrial and consumer markets. Monnit’s sensing solutions are designed to be easily installed and used by anyone wanting to remotely monitor information and activities, including: temperature, access, presence of water, light, humidity, and vibration in or around structures, machinery, and various environments. © 2009-2018 Monnit Corp. All rights reserved.